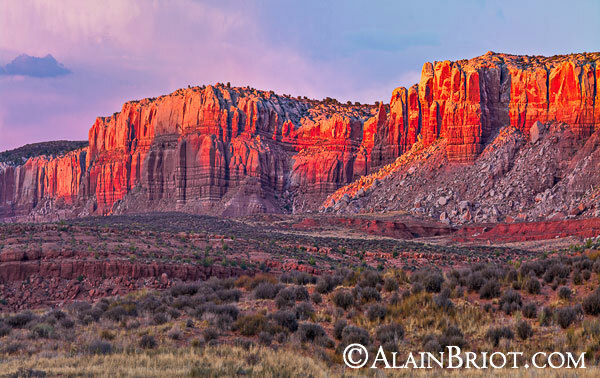 Of all the photography classes I've attended, the Alain Briot Workshops have opened the door to unexpected forms of creativity. I am very happy with the images I produced on that Workshop. In fact, I ended up with more interesting images from your workshop than from any other. Thanks again! Attending a workshop is an event. You are introduced to a new way of approaching photography, you meet new people, you make friends and you return home with a to do list, with ideas about what to do next, and often with a new or a rediscovered passion for photography. A workshop does not end when the event is over. It continues long afterwards as you work on the photographs you took during the workshop and share them with friends, workshop participants and customers if you sell your work. A workshop also continues with the friendships you started with other workshop participants. These friendships often take place online, via email or on social sites. They are important because they connect you with people who share the same passion as you. However there comes a time when the web is not enough and we want to meet in person. This is the reason why Natalie and I created the Rendez Vous. We wanted to offer previous workshop participants an opportunity to see each other again, catch up, reconnect and share your work with each other. We also want the Rendez Vous to be the opportunity to find out where your are at with your fine art photography work and where your want to go from there. Finding that out on your own is not easy. You know you want to reach the next step with your work but often you need an extra push to get it done. Or, you know where you want to go but you are not sure how to get there. One of the goals of the Rendez Vous is to facilitate this process by allowing you to find out exactly where you are at now in regards to your work, where you need to go next and how to do it. A Rendez Vous is a French expression that means a meeting. It is used among friends and never in a business context. A Rendez Vous is something planned in advance, with a date and a time set. In the context of the workshop the Rendez Vous is a gathering of previous workshop participants --Alumni-- who share a common passion for photography. I wanted to use this term in the context of the Alumni Workshop because I see this event as a gathering of friends, as a Rendez Vous among artists who enjoy each other's company, want to see each other again, want to catch up with things that took place since the last time they met and want to learn how to continue improving their work, reaching the next step and become better artists. The goal of this workshop is to create a learning and sharing environment between students and instructors and between students and students. To create this environment we will work in a small group setting, we will photograph beautiful but little known landscapes and we will complete artistic exercises aimed at developing your artistic photography skills. The workshop consists of two main parts: instructional photography sessions in the morning and field photography in the afternoon as well as at sunrise and sunset. 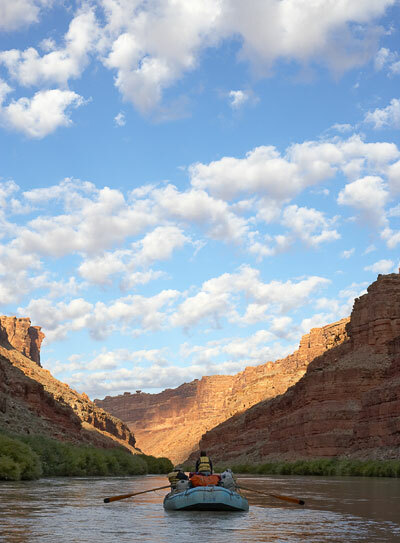 We chose an inspirational location for the 2019 Rendez Vous: Northern Navajoland. Our base for the Renez Vous will be Bluff, Utah. 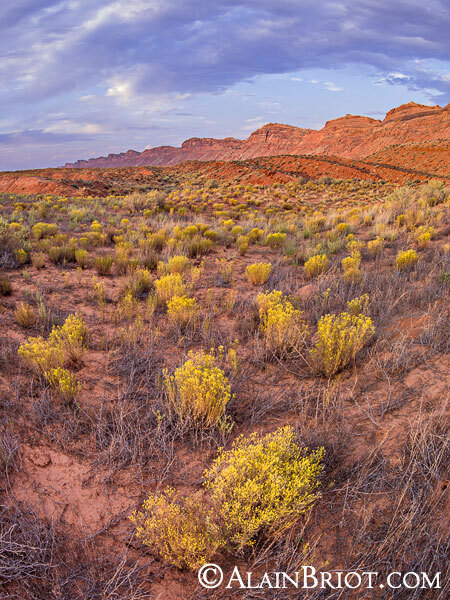 Bluff is in the heart of Northern Navajoland and in the midst of still-unexplored and under-photographed beauty. Bluff is not a very well known place. Most people travel through Bluff without stopping or spend a few hours there. You have to know bluff to appreciate it and you have to be intimately familiar with the surrounding landscape to appreciate it as well. This is an unexplored area that requires guides and intimate knowledge of the lay of the land. 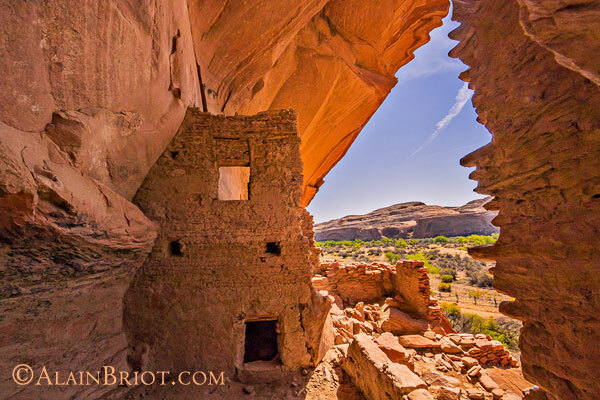 Natalie and I started going to Bluff when we lived in Chinle because bluff is about 75 miles from Canyon de Chelly. We had, and we still have, friends in Bluff, friends who moved from Chinle to Bluff to live there. Many still do and we visit with them when we are in Bluff. The 2017 Rendez Vous takes place in Chinle. The 2019 Rendez Vous takes place in Bluff. Both Chinle and Bluff are located in Northern Navajoland. While these two locations are less than a hundred miles apart, the landscape scenery found in Chinle is entirely different from the landscape found in Bluff. We therefore selected Bluff as the location of the 2019 Rendez vous because it is the logical geographical continuation of the 2018 Rendez Vous. If you attend both Rendez Vous you will have covered a large part of the Northern Navajoland Area. There is more to Navajoland to the East, South and West but you will have already seen many locations that few, if any, visit and even fewer photograph. This makes this second Alumni workshop Rendez Vous particularly meaningful. We will stay at the Recapture Lodge, in Bluff, Utah for the duration of the Rendez Vous. It will be our 'home base' for the Rendez Vous. The Rendez Vous is open exclusively to Alain Briot Workshop Alumni. You must have attended an Alain Briot workshop to participate. Registration is by invitation only. One of the unique aspects of the Rendez Vous is the Print Exchange. Students and instructors will each bring prints to the workshop, one for each participant and one for each instructor. During the workshop the participants (both students and instructors) will exchange their prints with the other participants. At the end of the exchange everyone will have a collection of prints from both students and instructors. Details about print size, subject matter, number of prints, presentation and so on will be provided to you after you register. - Describe your personal approach to photography. - Give us a list of the main features of your personal style. - Tell us which artists (not necessarily photographers) inspire you. - Explain how you are changing reality in your images. - A good photograph should be surprising. What is the element of surprise in your photographs? - Most importantly, how is what you see different from what other people see? - What do you show us in your work that we would not see otherwise? - Why would your work not be published in National Geographic? - Why would your work be published in National Geographic? - What projects are you working on now? - Where do you want your photography to be in 2 years? 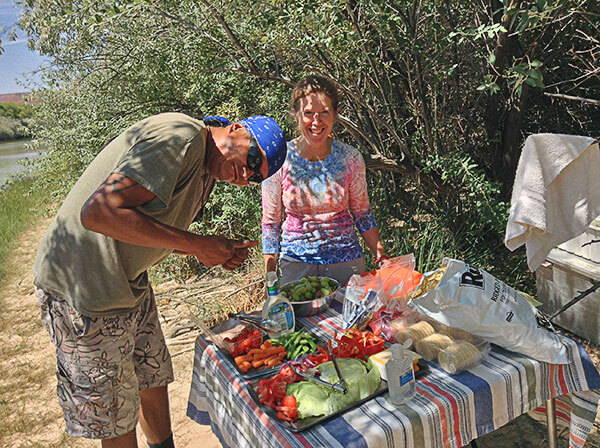 Natalie and our Navajo Guide, Marcus, preparing lunch along the San Juan River. This is a third unique aspect of the Rendez Vous. During the workshop participants will be asked to complete a number of artistic photography exercises. The goal of these exercises is to give you a framework that will enable you to create unmistakably artistic images. Completing these exercises is one of the main goals of the workshop. In addition to these exercises students will be free to do personal work and capture other images as they like. However, this personal work will have to be done in addition to the artistic exercises. The Advanced Adjustment layers mastery workshop on DVD/USB will be our guide and our required ‘text’ for this course. During the workshop we will practice a selection of the artistic techniques taught in this tutorial. It is therefore necessary that you review and study this tutorial before the workshop. A fourth unique aspect of the Rendez Vous is the full day river trip down the San Juan we will be doing during this event. This river trip will give us access to locations that cannot be reached by road or by hiking. 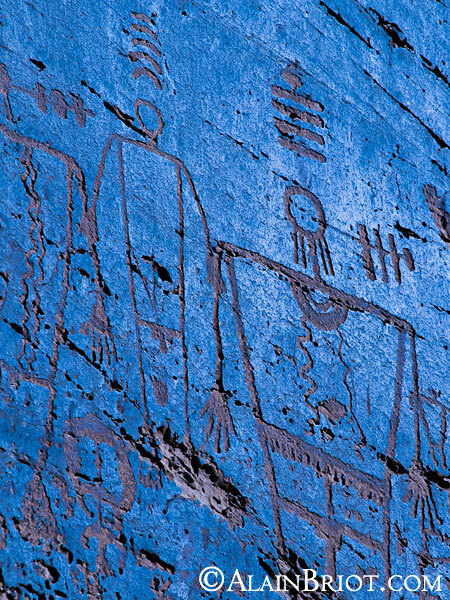 These locations include archaeological ruins and Petroglyph panels. All of them are world class and very photogenic. Because these locations are very hard to reach, you will be able to create photographs few other photographers have.The cost of the river rafting trip is included in the Rendez Vous registration fee. Natalie and I will be guiding you to specific locations that we do not visit during regular Workshops. These locations are described in the itinerary below. The itinerary for this workshop was designed with the goal of taking you to areas that we do not photograph during our regular Workshops so that if you attended it previously you would have a chance to photograph new areas. Out home base for the Rendez Vous will be Bluff, Utah. On Friday we will be meet you in Bluff where we will start the Alumni Rendez Vous. We will start with an orientation session during which we will discuss the logistics and the goals of the workshop. You will receive the exact time and location to our meeting place after you register. After orientation we will photograph sunset near Bluff. On Saturday we will photograph sunrise at a little known location near Bluff. After photographing Sunrise we will go back to Bluff for Breakfast. After breakfast the morning instructional sessions will focus on the print exchange and the personal print presentation. You will also be given a list of artistic exercises to complete that day. In the afternoon, after lunch, we will photograph the Cedar Mesa area. We will be traveling from Bluff to Blanding and then on to Cedar Mesa. 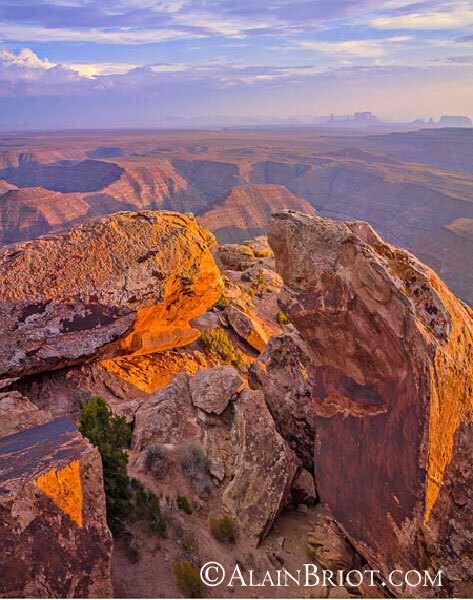 We will photograph sunset from the top of Cedar mesa that evening. Sunday will be our river rafting trip down the San Juan River. We will start our journey down the river around 8 am and we will be on the river all day. Lunch will be served by our boatmen, along the river. After getting off the river we will return to Bluff. You will have plenty of time to complete the artistic exercises during the day. We will photograph sunset near Bluff that evening. 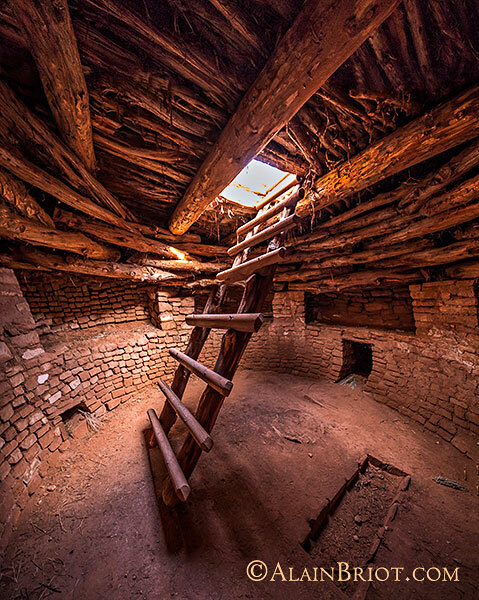 We will explore and photograph Anasazi ruins during the 2019 Alumni Rendez Vous. On Monday we will take a break and not get up for sunrise. You can still go photograph sunrise on your own if you like of course but it is optional. After breakfast the morning instructional sessions will focus on continuing the participants print presentations started on Saturday. We will also discuss the artistic exercises that you worked on the day before. On Tuesday we will photograph Sunrise from a location chosen during the workshop because of its interest to participants. After sunrise we will have breakfast in Bluff as a group. The workshop ends after breakfast so that you have plenty of time to drive back to your destination. - Food, lodging and transportation are not included. Some of you may want to camp, some stay in a hotel, some may want to eat with the group while other may prefer to be on their own. This arrangement provides for maximum flexibility while keeping the cost of this workshop to a minimum. It gives you maximum freedom in planning your meals and give you time by yourself if you choose. - We will email you directions to Bluff, where we will meet on the first day, as well as a list of hotels in the towns where we will be staying when you register. You will then receive an email with the Friday evening meeting place and a detailed workshop schedule approximately 2 weeks before the workshop. - We will be photographing from 4000 to 6000 feet elevation on average. Normally the only problem you can expect is a slight shortness of breath. However the higher elevation is something to keep in mind if you live at sea level or you are prone to encountering physical difficulties at higher elevations. - An SUV is recommended for this workshop. We will be driving on a lot of dirt roads and high clearance will be a plus. -We have a no tag-along policy. Spouses, friends, significant others and non-photographers need to be both Alumni and registered as full-time participants to join any aspect of this workshop. This includes meetings, print reviews, lectures, meals and all other aspects of this workshop. No exceptions. Spouses and significant others must be registered for the entire length of the workshop. We cannot do single day registrations for this workshop as we do occasionally for our other workshops. For further details read our Workshop FAQ. The cost of the Rendez Vous is $1695. This price includes a $200 river fee. 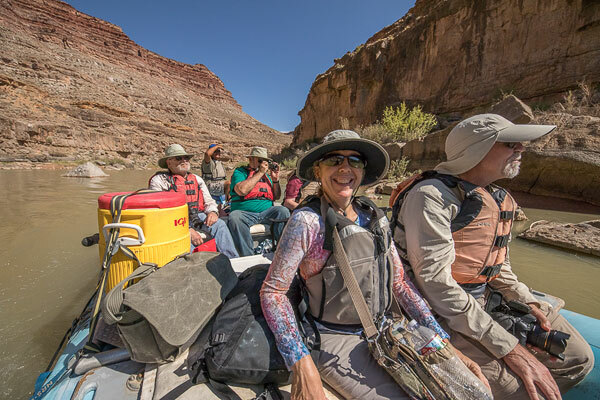 This fee covers a full-day rafting trip down the San Juan river. It includes lunch for that day, the guiding fee and the river permits. The registration fee includes the $100 Alumni discount. Because this event is open only to Alumni, we are only featuring the Alumni price. There is no point in having two prices since this workshop is open only to previous participants. 3 - Call us toll free at 800-949-7983 (or 928-252-2466) and register over the phone. We accept Visa, Mastercard, Discover and American Express. A receipt will be mailed to you the day after your registration has been processed. You can charge the registration fee in one installment or in 3 equal installments placed to your card a month apart starting when you register. Just let us know your preference when you sign up. Registrations are on a first come, first served basis. We recommend you act now because this workshop is receiving a high level of interest and will sell out quickly. If you have any questions before registering click here to send us an email inquiry. We are pleased to assist you with any questions. You can also call Alain or Natalie Briot at 800-949-7983 or 928-252-2466. See more photographs of the Bluff area of of Northern Navajoland here. Natalie is a certified Art Teacher. She has been teaching since 1992, first in Houghton, Michigan, then in Chinle, in the heart of Navajoland, starting in 1995. Natalie loves teaching and specializes in helping her students fulfill their vision through visual exercises. Natalie is extremely patient and attentive to her students' needs. We will be lecturing, organizing, helping, working and photographing with you from sunrise to sunset, with a break for breakfast and lunch, during the entire duration of the workshop. All monies are non-refundable. If you cancel participation in this workshop your registration fees may be transferred towards registration in another Beaux Arts Photography workshop under certain conditions. Transfer of fees to another workshop is not automatic and is decided solely by Beaux Arts Photography as a courtesy. We reserve the right to decide whether to transfer your fees to another workshop or not. You must register for another workshop scheduled one year or less from the starting date of the workshop you originally registered for. Participants transferring from another workshop will be registered for this other workshop in excess of the regular number of participants. We can only accept two transfers per workshop. If you decide to attend a higher priced workshop, or if the workshop fee has increased, the difference in cost between the two workshops will be charged to your credit card when you notify us that you want to sign up for this other workshop. A ten percent transfer fee may be applied at the time of transfer. In order to get a transfer credit you can only cancel one workshop, Summit or seminar per calendar year. Your registration is guaranteed only when we have payment in full. We reserve the right to change this policy at any time. Workshop fees can only be transferred to another workshop and cannot be used towards purchase of a product such as mats, portfolio cases, CD or DVD tutorials, prints, portfolios, or other. Workshop fees cannot be transferred towards purchase of the Mastery Workshop DVDs. We cannot transfer consulting fees towards workshop registration. If this workshop is cancelled by us you will receive a full refund. The Alumni Rendez Vous Workshop is unique in our current workshop line up in that it is open only to previous workshop participants. Because of the unique requirements for this event we cannot accept transfers for this workshop. All registrations need to be new registrations in order to participate in this event. We will photograph several prehistoric Indian Ruins during the 2019 Alumni Rendez Vous.